Plus cost of jumbo board, starting at $149.99. Comes with 50 standard Ninja Cards. Call for bulk pricing. 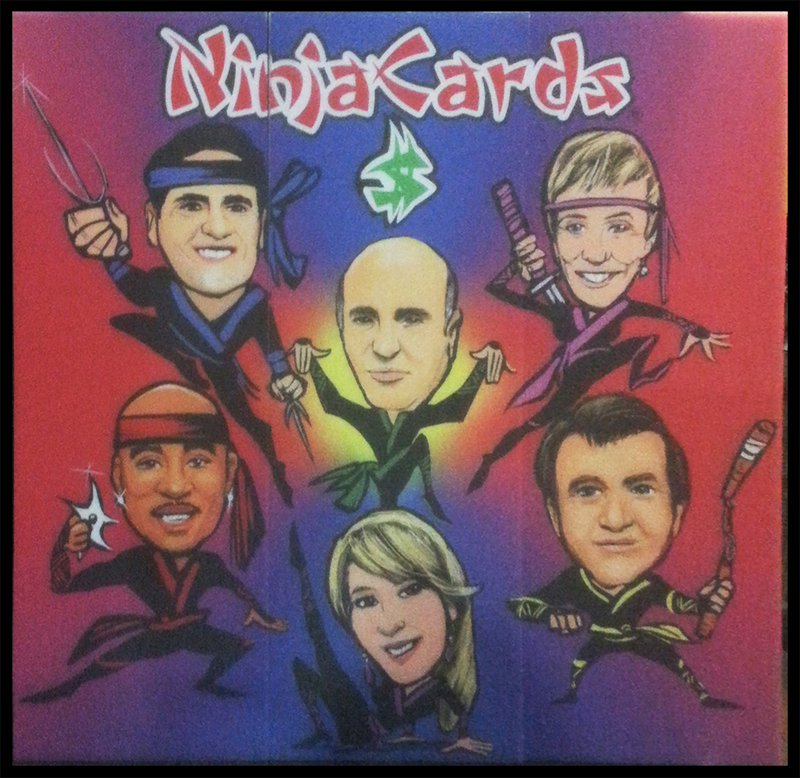 We offer custom Ninja cards and boards with your logo or pictures. Great for parties and events. Custom design fee is only $49.99. Call us at 949-526-0280 or email us at custom-orders@ninjacards.com. Include artwork if possible. Images above are examples of actual custom orders. These designs are NOT FOR SALE.